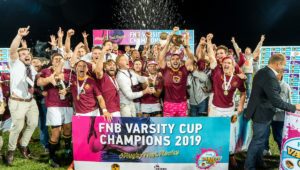 The Stellenbosch team, who are unbeaten since losing the 2017 final, have enjoyed another fine season and remain favourites to finish top of the table. They currently sit behind Tuks, due to points difference, but with a game in hand after a bye in round seven. With only two rounds in the competition left, their game against Shimlas in Bloemfontein could have a massive bearing on the final standings. Winning at Shimla Park will not be easy, especially as the Bloemfontein team will be desperate to seal a place in the top four. Shimlas have been inconsistent and are reeling from their derby loss to the unfancied CUT last week. While Shimlas can rack up a big total of points against any team, it is their problems in defence that have haunted them, as they have conceded over 20 points in every one of their six matches this year. 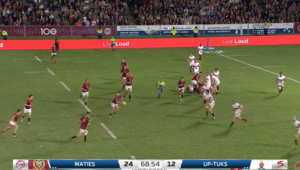 This is something that Maties, with firepower in wing Edwill van der Merwe, fullback Anton du Toit and flyhalf Jordan Chait, can and probably will exploit. 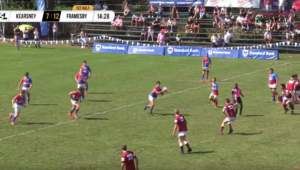 Meanwhile, Tuks have been resurgent since coach Nollis Marais took over midway through last season and they’ve carried that momentum into this season. They will know that Monday’s fixture against UCT in Pretoria presents them with their final opportunity to possibly finish first on the log, as they have a bye next week. 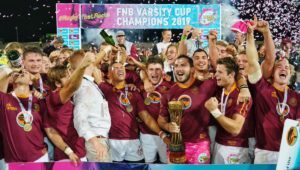 In the day’s other fixtures, CUT could climb into the playoff places if they pull off another shock win, against NWU in Bloemfontein, while UWC will look to go back-to-back against Wits after winning their first-ever Varsity Cup match last week. 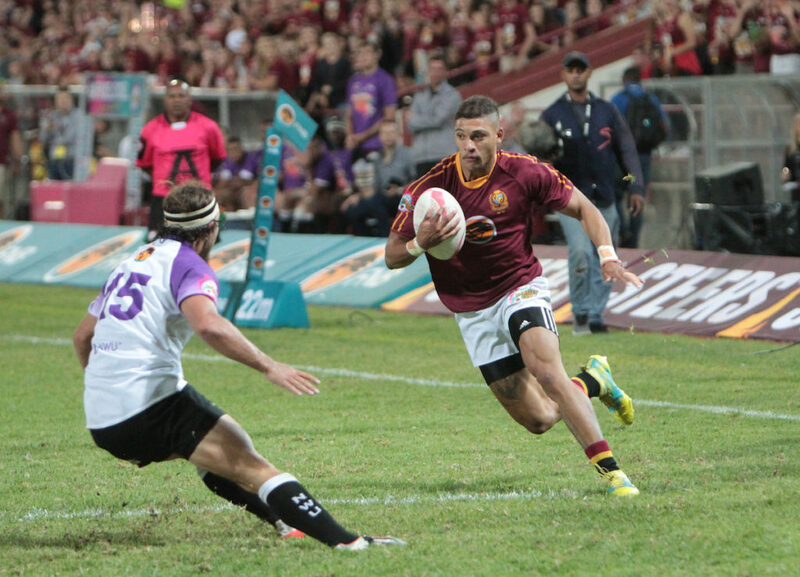 Tuks – 15 Damian Bonaparte, 14 Irvin Ali, 13 Lourens Pretorius, 12 Erich Cronje, 11 Ciaran Dayaram, 10 Tinus de Beer, 9 Raegan Oranje, 8 Denzel Hill, 7 Mihlali Stamper, 6 Stephan Smit, 5 Ruan Nortje, 4 Marius Verwey (c), 3 JP Smith, 2 Werner Fourie, 1 Etienne Janeke. Subs: 16 Johan Grobbelaar, 17 Jacobus Eloff, 18 Bart le Roux, 19 Brian Leitch, 20 Theo Maree, 21 Christo Hamman, 22 Xolisa Guma, 23 Hanru Sirgel. UCT – 15 Darian Hock, 14 Rayno Mapoe, 13 James Tedder, 12 Robert Ball, 11 Gerard Pieterse, 10 Jonty Bredell, 9 Brandon Salomo, 8 Nyasha Tarusenga, 7 Busanda Mabena, 6 Neil Otto, 5 Gary Porter, 4 Duncan Saffy, 3 Simon Raw, 2 Cuan Hablutzel, 1 Devon Arendse. Subs: 16 Josh van Vuuren, 17 Tomasz Rosenwerth, 18 Ntando Mpofana, 19 Matthew Grobler, 20 Lance Steytler, 21 William Rose, 22 Michael Brink, 23 Thobekani Buthelezi. CUT – 15 Jason Raubenheimer, 14 Dimitrio Tieties, 13 Ruan Wasserman, 12 Marnu van Niekerk, 11 Rassie Breedt, 10 Heinrich Bitzi, 9 Johannes Hattingh, 8 Hardus Nel, 7 Luuyo Ndevu, 6 Ruan Smit, 5 Rayno Nel, 4 Sylvester Makakole, 3 Tebogo Masemola, 2 Anrich Alberts, 1 Edward Davids. Subs: 16 Ruben Cross, 17 Quintin Vorster, 18 Raynard Esterhuizen, 19 Brendon Fortuin, 20 Andre Hanekom, 21 Jaco Wilkinson, 22 Marc Morrison, 23 Karabo Maqeba. NWU – 15 Shane van Rooyen, 14 Lungelo Gosa, 13 Lincoln Daniels, 12 Akhona Nela, 11 Pienaar van Niekerk, 10 Schalk Hugo, 9 Chriswill September, 8 Edmund Rheeder, 7 Wian Conradie, 6 Gidedon van der Merwe, 5 Jan du Plooy, 4 Johan Retief, 3 Matimu Manganyi, 2 Louis van der Westhuizen, 1 Tshegofatso Moloto. Subs: 16 Marius Stander, 17 Nelius Theron, 18 Robert Hunt, 19 Ruben du Plooy, 20 Muziwandile Mazibuko, 21 Eugene Hare, 22 Keagan Tait, 23 Nkululeko Mcuma. Wits – 15 Jared Fuller, 14 Daniel Kapepula, 13 Sicelo Champion, 12 AJ van Blerk, 11 Moemisi Mosheledi, 10 Chris Humphries, 9 Runaldo Pedro, 8 Cal Smid, 7 Phillip Krause, 6 Constant Beckerling, 5 Kevin du Randt, 4 Conor Brockschmidt, 3 Luyolo Qinela, 2 CJ Conradie, 1 Bhekisa Shongwe. Subs: 16 Justin Brandon, 17 Craig Hume, 18 Ebot Buma, 19 Pascal Snyman, 20 Sipho Siboza, 21 Ruan Cloete, 22 Anele Makongolo, 23 Kurt Webster. UWC – 15 Tristan Leyds, 14 Sthsaba Mqhatu, 13 Lubelo Scott, 12 Lyle Hendricks, 11 Andre Manuel, 10 Aidynn Cupido, 9 Clayton Daniels, 8 Adrian Paarwater (c), 7 Reece Boks, 6 Bronlee Mouries, 5 Curtly Thomas, 4 Matthew le Roux, 3 Justin Theys, 2 Jacques van Zyl, 1 Luvo Bazi. Subs: 16 Luan du Randt, 17 Alexander Mbete, 18 Tyler Gessler, 19 Rohaan Adams, 20 Moegamat Kannemeyer, 21 Keagan Fortune, 22 Darren Jaftha, 23 Hendrik Calitz. Shimlas – 15 Sechaba Matsoele, 14 Charl Pretorius, 13 Christiaan Schutte, 12 William Eybers, 11 Marnus Boshoff, 10 Lubabalo Dobela, 9 Zak Burger, 8 Albertus du Bod, 7 Menzi Nlhabathi, 6 Janco Cloete, 5 Mervyn Roos, 4 Sibabalo Qoma, 3 Ruan Kramer, 2 Hanno Snyman, 1 Thembinkosi Mangwana. Subs: 16 Wihan Marais, 17 John Fincham, 18 Mogau Mabokela, 19 Sihle Diniso, 20 Jan Rossouw, 21 Rewan Kruger, 22 Cham Zondeki, 23 Kurt Eybers. 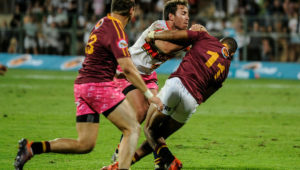 Maties – 15 Anton du Toit, 14 Munier Hartzenberg, 13 Cornel Smit, 12 Chris Smit, 11 Edwill van der Merwe, 10 Jordan Chait, 9 Logan Boonzaaier, 8 Johann van Niekerk, 7 Ben-Jason Dixon, 6 Chris Massyn, 5 Bernard Jansen, 4 Ernst van Rhyn (c), 3 Sazi Sandi, 2 Daniel Jooste, 1 Wayrin Losper. Subs: 16 Schalk Erasmus, 17 Ricky Nwagbara, 18 Piet Strauss, 19 Jesse Johnson, 20 Mitchell Carstens, 21 Brendon Nell, 22 Adriaan van der Bank, 23 David Brits.